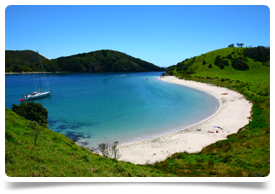 We have a unique and exciting opportunity in a semi-rural large community, Urgent Care Clinic in the highly sought after location of Northland on the North Island of New Zealand. Northland is bounded to the west by the Tasman Sea, and to the east by the Pacific Ocean. The central district is dotted with the conical reminders of long extinct volcanoes, surrounded by sought after volcanic soils. The western coast is dominated by several long straight beaches, the most famous of which is Ninety Mile Beach. There are few places in the world that can match what Northland has to offer. A subtropical climate, clean fresh air, miles of beautiful coastline characterised by rocky headlands, sheltered harbours, sandy bays, mangrove flats, stunning off shore islands coupled with rolling green pastureland, wild primordial forests, limestone features and old volcanoes, make this environment a fascinating place to live and explore.